Water views and privacy with this Eastman condo. Seasonal views and perfect location in Eastman. Condo with beautiful views of Eastman Lake. Spacious, turn key condo in Eastman. In Eastman, private, yet close to the beach, home. Move in ready Eastman home. Newly updated home on Eastman Brook. Close to beach, one of a kind condo in Eastman! Quiet spot in Hilltop Place, New London. Updated, private, two story home in Eastman. Beautiful lake views from this condo in Eastman. Premier golf location for this Eastman home! High end home with great golf course views. Eastman home with waterfront views. Move in ready Eastman home with a backyard oasis. Private home surrounded by nature! Waterfront, views, and more at this Eastman home. Large Eastman home on waterfront lot. Amazing home mixed with old and new. New features added to the custom built home in Eastman. Beautiful post and beam home on Anderson Pond. set, neighbors are close by, but you can't see them. A standing seam metal roof was installed a few years ago and will give you a lifetime of protection. The interior is a bold and beautiful post and beam structure. The craftsmanship is top notch and the beautiful beams just shine through. 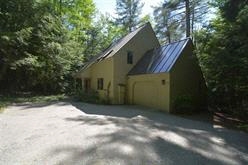 Vaulted ceilings, sun filled rooms, granite counter tops, water views, the call of the loon, one floor living, a stone fireplace...Picture this- snow falling, a chill in the air, the pond on its last days of water before freezing over, a roaring fire the smell of smoke and not a sound to be heard. If this is the year round lifestyle you have been dreaming of then this is your opportunity!